Named after the network of trails that begins with the former Copper King Mine and Milling Company, Big Agnes??? 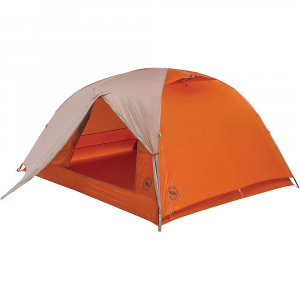 ultralight backpacking tent based on the Fly Creek HV model doesn?? 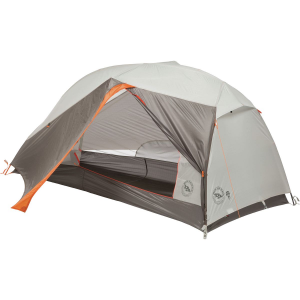 ?t fall short on features and durability. Its extra tear-resistant design holds up to the rigor and ruggedness of the outdoors, while storage and media pockets give you a place for smaller gear. 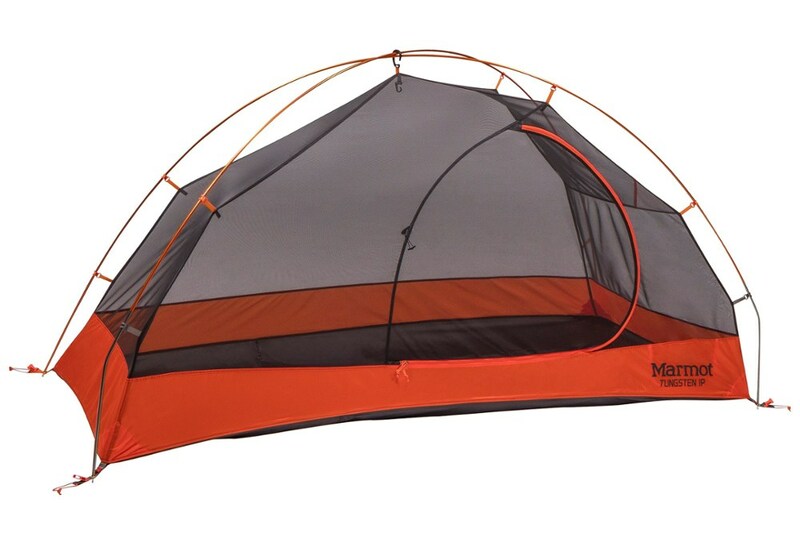 As its ample amount of interior room offers you and your companion just enough space to sleep, steep, vertical walls provide some distance when needed.. . Canopy is made out of proprietary-patterned double, breathable ripstop nylon and polyester mesh. Fly and floor are made out of unique, proprietary random-patterned ripstop nylon, with 25-percent greater tear strength. 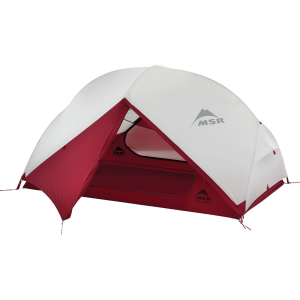 Double ripstop pattern nylon is 20-percent stronger for greater durability. Two-tone mesh offers privacy while still offering the transparency to look up at the stars. Fully seam-taped with waterproof, solvent-free PU tape (free of PVC and VOC). Ultralight construction. Three-season, free-standing design. Uses high-volume pole architecture for steeper walls. Four-way, high-volume hub improves stability and strength and gives you a greater amount of living space. Equipped with two doors and two vestibules, with storm flaps added to the vestibule zippers. 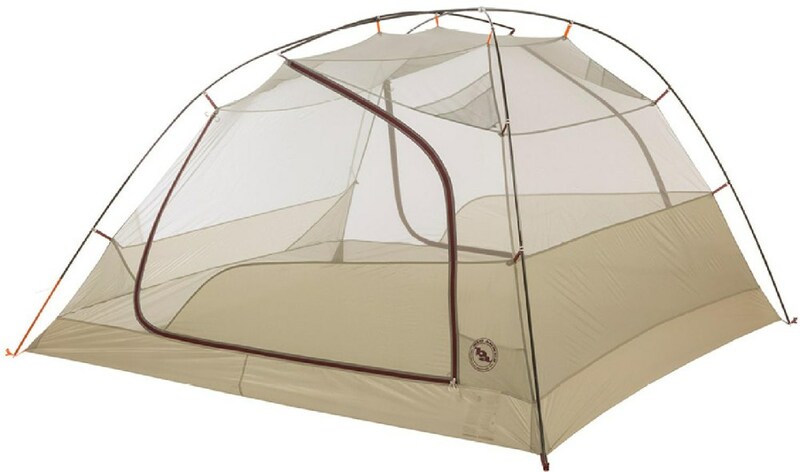 Large, dual-zipper doors include discrete seams for easy entry and closure, and offers a clean, modern look. Quick Stash, on the tent?? ?s body door, makes it easy to stow the unzipped door. Extra-large ceiling pocket for more storage space. Four media pockets with two cord-routing portals added above the sleeping area let you route ear bud cords from phones and other devices. One fly vent. Use Velcro tabs to connect the fly to the pole structure for the perfect pitch. Pre-cut guylines and tensioners attached to fly make tent ready to pitch. 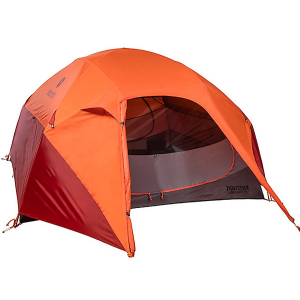 Featuring a high-volume structure to give more living space to 4 backpackers, the Big Agnes Copper Spur HV UL 4 tent offers great comfort and convenience for enjoyable living in the backcountry.